The new trend to design and build hospitals using sustainable technology, renewable resources and systems designed to reduce energy consumption and carbon emissions is making it possible to achieve higher building performance in terms of reduced energy consumption, improved indoor air quality and a supportive healing environment. It's getting harder to read a newspaper or watch the television without seeing news about the impact of global warming. While the debate about cause and effect is certain to continue, it is clear to a growing number of people that we must reduce the consumption of natural resources and the emissions of carbon into the atmosphere. Without question, building construction has a significant impact on the environment, not only in terms of how it alters the landscape, but also in terms of material and energy consumption and waste generation. Consider these numbers: over 65 per cent of the US' electricity is consumed by building construction and occupancy. Globally, more than 40 per cent of the earth's raw materials are consumed in the name of building construction and occupancy. Statistics like these are responsible for the world's burgeoning interest in sustainable design and construction. Individuals and corporations are making a concerted effort to learn how to create buildings utilising sustainable technology, renewable resources and systems designed to reduce energy consumption and carbon emissions. There's no better place to implement these principles than in the design and construction of hospitals and other healthcare facilities. Hospitals generate vast amounts of waste material in the form of food, paper and plastics, the majority of which is not recycled. As a building type, hospitals are relatively heavy users of materials, energy and water. Not only does this heavy usage drive up the cost of construction of most hospitals, it also results in increased operational expenses over the lifetime of the building, especially as the cost of natural resources continues to skyrocket. Of course, research has also shown that environment aids the healing process. Healthier buildings lead to healthier patients and staff. A growing number of hospitals are becoming more interested in a sustainable approach to healthcare design. There seems to be a lot of uncertainty, however, about implementing it. Concerns typically revolve around initial costs, schedule and return on investment. With an educated and organised design approach, implementing sustainable methods is not only becoming less costly, but also more the rule than the exception. The United States Green Building Council (USGBC) has developed a sustainable building guideline and rating system known as Leadership in Environmental and Energy Design (LEED). This system and the USGBC staff serve as a technical resource for the design and performance of all building types. Recently, the organisation completed LEED guidelines specific to healthcare facilities. These resources allow architects, engineers, and owners to make informed design and operational decisions about the design and planning of hospital facilities. While several hospitals have achieved LEED standards using office building guidelines, only two have achieved a LEED Gold Certification, and none yet have achieved Platinum. A third hospital, currently under review for Gold Certification using the new healthcare guidelines, is the Medical Center of the Rockies (MCR), in Loveland, Colorado. MCR, a 595,000 SF, 136 bed critical care facility, with combined centres of excellence in cardiac and trauma care, is an innovative example of a large new specialty hospital. Its 40-acre campus was developed from a vacant site and master-planned to ultimately accommodate a tripling of its initial size. Few hospitals have the opportunity to take advantage of the outdoor spaces like MCR does. A nature trail and wetlands, located directly in front of the facility, serve as part of the healing environment. However, even hospitals located in the tightest urban areas can take advantage of outdoor spaces by using concepts such as hardscaping, which requires less planting and maintenance and is more useful to patients, family and staff. There are ways to zone a site in terms of the intensity of plant material, and the degree of maintenance and irrigation required if the facility sits on a large tract of land. What's important to note is that not every part of a hospital's open space requires a manicured lawn or trees in order to create a high-quality outdoor environment. In fact, a diverse landscape adds interest and context to most sites. Regardless of site location, thoughtful storm water collection and flow management provides an opportunity for sustainability and protection of neighbouring land. Stored water on site can potentially be used for irrigation. In some climates, however, open, standing water can pose health risks, especially if left untreated. A new wetland was created at MCR to filter run-off before discharging surface water into a nearby wildlife sanctuary. Another important site consideration is the building's placement and position, and the locations of public, service and ambulance entries to best take advantage of solar orientation. Even in low sunshine climates, buildings have a warm side and a cold side. Wind is also something to be considered because it is another factor that contributes to energy consumption, maintenance costs and user comfort and safety. Building orientation also impacts daylighting. How the sun penetrates a building and how designers manage that direct solar access is extremely important for practical purposes, and can influence LEED credits. Not only does the use of natural light in patient care and staff support areas reduce energy consumption, it also provides an important connection with nature and supports a better healing environment. Outdoor ventilation is a consideration in most climates, although it can be difficult to manage from a temperature control perspective. Most new hospitals have thermostats for every patient room. If the zone control is compensating for an open window on a hot or cold day, the overall system load is only affected at the room with the open window. The physical and psychological benefits gained by allowing fresh air to come into a patient's room are tremendous. Additionally, fresh air can improve indoor air quality. Interior areas without access to an outside wall can benefit from the use of task lighting versus overhead fluorescent lights. In a patient unit hallway for example, there's no reason to design for more than 25 foot-candles. A reduced lighting level in corridors not only saves energy but creates a sense of calm and comfort for patients and their families. It also tends to lower voices in the halls and in nurse stations. Another benefit is lower eye strain and reduced fatigue. Proper use and preservation of water in design can be an integral part of sustainability. Water is a powerful healing element and the symbol of life. Should a facility opt to incorporate water elements, it's critical to pay close attention to design and engineering to minimise water consumption, leakage, maintenance and algae. Sustainable architecture also involves the use of renewable materials and products with lower Volatile Organic Chemical (VOC) emissions. This idea can also be taken one step further by using recyclable building materials wherever possible, because eventually these materials and their finishes will be replaced. Non-recyclable materials ultimately end up in a landfill. Durability and ease of maintenance are the two factors that impact sustainability and operational costs of the facility. Spending a little more money on higher-quality and eco-friendly finishes such as terrazao and stone, is often the most cost-effective decision. These types of materials are easy to maintain without chemicals. Typically, they last the lifetime of the building. If the project cannot afford products like terrazao in procedure areas, resilient sheet goods such as linoleum, which have low VOCs and are made from renewable resources, can be substituted. PVCs and vinyl flooring products should be avoided. Construction site recycling plays a major role in conservation and can generate LEED points. Until recently, many construction sites recycled only a small portion of their scrap material because there was neither a large market for recycling, nor the environmental consciousness to drive the process. That is changing quickly as recycling options for wood and drywall are becoming more available. During the construction of MCR, for example, a local pig farmer purchased the crushed gypsum from wall board scraps to mitigate the effects of animal waste on his land. MCR recycled over 75 per cent of its construction waste as a result of a concerted team effort established at the project's inception. Enforcement by the owner and contractor, JE Dunn, was also critical to the recycling programmes' success. Design innovation creates additional opportunities for achieving sustainable design goals. With critical input from the owners, it's possible to create an ideal floor plan that maximises flexibility and minimises circulation and wasted space. In hospital design, it is critical to create a circulation pattern to separate public from private zones which complicates the idea of efficiency. But by locating these two zones, or spines back-to-back and placing them at the core of the facility, they can be made shorter and work more effectively, even as the facility grows over time. As land value and land scarcity increases worldwide, vertical stacking of hospital floors will become more common. Vertical stacking reduces the building footprint and allows more natural light into the building. It is not only important from an operational and cost standpoint, but also because it reduces waste and demolition. A properly stacked hospital also reduces energy consumption by reducing the length of utility runs and reducing the building footprint overall, making it more efficient to operate and allowing a more efficient use of land. Ultimately, the twentieth century trend of building cheaply and quickly and prematurely disposing of worn structures will be replaced by the use of higher quality, longer lasting building materials and methods. This is great news for design professionals and the people and communities these facilities serve. More attention is being paid to the idea of green roofs. Not only do they impact sustainability, but also provide user comfort by allowing patients to look out of the windows to see grass, pavers, benches and people, instead of just equipment and roofing material. The environmental and energy savings utilising this form of building covering are substantial, and will eventually outweigh the concerns for the costs that incur in building structure, waterproofing, and landscape maintenance. Marketing and public relations can also play an integral role in educating the population, particularly in areas where there are several healthcare options. A sustainable facility can impact a hospital's perception in the marketplace. Sustainable hospital design does have an impact on governmental approval processes, where development is more tightly controlled, especially as communities demand a higher building standard with less impact on the environment. In designing sustainable healing environments, it is also important to look at the elements which go beyond the simple numbers. It is vital to look at customer expectations and the ability of people to choose a healthcare provider. 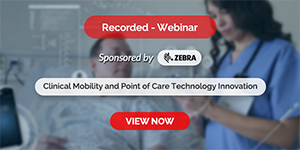 In order to provide high quality of care patients expect, hospitals have to be able to recruit and retain the best doctors, nurses and support staff. It is the ability of the hospital's design to integrate all these needs in a way which is flexible and adaptable over its lifetime, so that it can continue to serve its mission, without substantial reconstruction. These are the most critical elements of a sustainable hospital. Overall, the future of sustainable hospital design is very bright. We have much ground to uncover in an effort to reverse the environmental trends of the last century, particularly in our most populated and industrialised countries. But with exceptional vision and leadership by architects, engineers and building owners, and with governmental support in each country, we can build a healthier and more sustainable world. Russell A Sedmak has spent the majority of his 23 year architectural career as a leading healthcare facility planner and designer for Heery International. 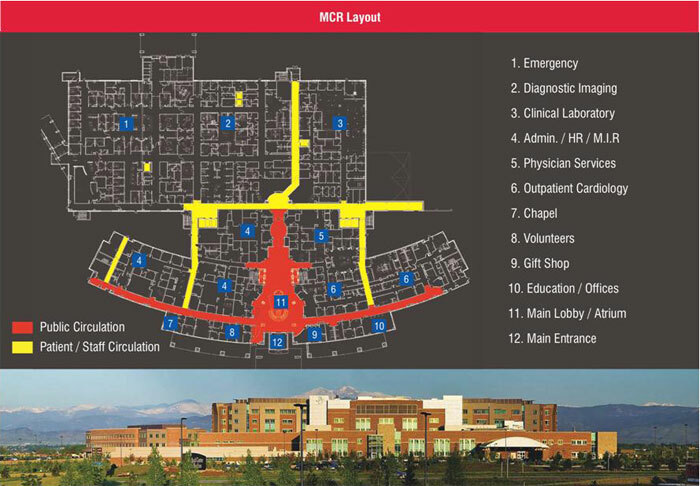 Of the firm's many notable projects, he has most recently directed the planning and design effort for Medical Center of the Rockies (MCR), a 590,000 square foot regional tertiary care hospital specialising in cardiac and trauma services.